More prototyping at the wave tanks…it’s lego-tastic! This past week at HMSC, we have been getting back to my old favorite – exhibit design and prototyping. Katie and I have been planning the prototype of the video booth that will go in to the new wave tank area, which is intended to capture visitor reflections when they test out their wave-resilient lego structures in the large tsunami tank. The idea behind the booth is visitors will build and test their lego structures in the tank, and then have the chance to review footage of their “crash” via an overhead camera above the tsunami tank. The video booth will encourage visitors to reflect on their footage and video record their response. Eventually, the reflections we capture will be used to research how visitors reflect on design and test activities in an ocean engineering context. Depending on the application interface that is being designed for us to run the video review and record capabilities, the prototype will start simple with a touchscreen device behind a curtained booth. We are hoping that “curtaining” the booth will give it an element of mystery for visitors, and hence a hook to use the exhibit – inspired by our lab group’s visit to the Science Factory last summer, where we played for a long time in a darkened booth that allowed us to explore photosensitive materials. With the help of Becca and Susan’s interpretive expertise, myself and Allison are also in the process of working on some signage to help visitors explore how different construction materials will affect their lego structure wave-resilience. Mark had the idea to weaken different color legos to represent different materials resistant to wave impact, an idea which Harrison began experimenting with last spring. In this way, the weakened legos are models of different construction materials and, in essence, are weakened using a drilling tool so they have less “cling” to the base plate their fixed to during tank testing. Some are heavily weakened to represent wood, some only moderately to represent concrete, and some not at all to represent steel. The idea is to encourage visitors to experiment with differing “materials” and to generate hypotheses about material effect on design as they build and test their structures. I love exhibit prototyping, so these tasks have been very enjoyable for me so far! I’ll post some pictures once these get out on the floor. 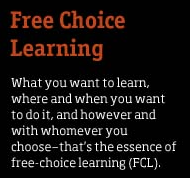 Posted in Exhibits, Free-Choice Learning.